Also, Big talks about his recent computer troubles, Rish fondly remembers taking candy from strangers, and a couple of things are announced, one of them big, one of them not so big. And hey, no singing! Special thanks to Liz Mierzejewski and Julie Hoverson for lending their voices to today’s episode. Music in today’s episode was Winter Princess by Zero-Project. 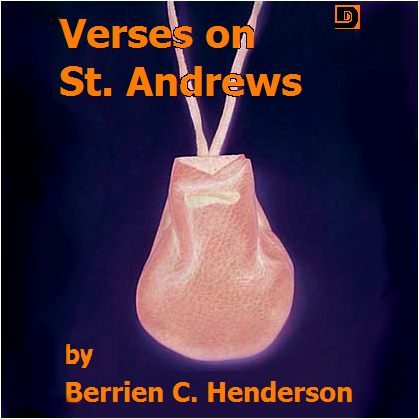 This entry was posted on April 12, 2010 at 1:11 am and is filed under Berrien C. Henderson, Drama, Fantasy, Horror, Short Story. You can follow any responses to this entry through the RSS 2.0 feed. You can skip to the end and leave a response. Pinging is currently not allowed. This was my favorite story in quite a while. I thought it was well-crafted and well-written. Characterization is probably what matters to me the most in stories. And it can be a challenge to achieve decent characterization in the short story form. You kind of have to hit the ground running it seems. Don’t know why, but the characters in this story seemed to have more heft to them from the very beginning. As did the story itself. I wonder why that is. Not really sure why, but anyway, I found myself very easily drawn into it very quickly. Some stories I sort of have to shoulder and force my way in, others I’m in before I really know what happened. And then there are the ones like Dune where I put the book down, and realize that several hours have gone by and I should probably go put on a jacket. Anyway, thanks for yet another wonderful episode. and also….Tod Castle. hahahaha. At least, Rish’s ‘grandfather’ was not named Escape Tod. That would also have been very inconvenient for naming the show after him. STORY: Good storytelling, though I was quite thrown by the MC’s name — “Feeling”? Really? I don’t think the story set any genre conventions on their collective ears, as Big said — these days twisting genres is the norm. PRODUCTION: Except for an overuse of that disgusting sound when the ivy crept, I thought it was fine. COMMENTARY: Were you guys on Skype, or just a different computer? Rish sounded completely different — more mellow, for starters. And as for the neighborhood thing: I take my daughter to the park all the time. Once I found a cellphone. I went through the contacts and called “Mom” and “Dad”. They seemed quite disturbed when I got through and said I found the phone on the playground. I told them what I was wearing and the mother came and got the phone, but the look she gave me… *sigh* I wrote a story about men as bad guys — tangentially, anyway — that I hope is published soon, before it ceases to be speculative and actually becomes fact. I would love to volunteer to be a slush reader, but I live in mortal fear that I’ll inadvertently steal someone else’s story idea. Thought I’d throw in my 2 cents about using the homepage as a blog. I do not follow twitter feeds, nor do I have any intension of ever taking it up. I am, however, interested in what you guys are up to. Please spare me from having to jump on the bandwagon to be the nosy prick I’m inclined to be. I vote yes to updating your website with snippets of gratuitous news! I liked this story because the end was all nicely cleaned up without being tired and predictable. I like the fact that Feeling was the better person, and that things didn’t unitentionaly get out of hand. a.any literary or rhetorical device, as metaphor, metonymy, synecdoche, and irony, that consists in the use of words in other than their literal sense. b.an instance of this. Compare figure of speech. 2.a phrase, sentence, or verse formerly interpolated in a liturgical text to amplify or embellish. 3. (in the philosophy of Santayana) the principle of organization according to which matter moves to form an object during the various stages of its existence. I still don’t know what it means. I grew up in a really, really small town-100 people maybe? We had Mr. Orlando (I’m not even sure if that was his real name.) He owned the little motel in town. It was always empty and it smelled funny. He was kindof scary too. But he always bought Girl Scout cookies from us, so how bad could he be? I have a Twitter account, but I’ve never posted and I only sometimes go look at it. I keep up with the Dunesteef on Face Book, but I also think the web page would be a perfect place to put “stuff” on. Yeah, Wendy, I still don’t know what it means either. I think from the definition, though, I can safely assume that I used the word incorrectly at least. Here’s a great site that talks about scifi tropes. as i’ve heard it, ‘trope’ is usually used to refer to (very basically) a theme or a trend implicit in aesthetic or intellectual expression. That’s how it’s usually used when discussing literature, anyway. You can basically substitute the term ‘thematic convention’. Looking at the etymology usually clears these things up since most terms started out with a pretty simple concrete meaning. Trope comes from a word that just means ‘to turn’ or ‘to maneuver’, as in a ‘turn of phrase’. So a trope is like a particular way of putting together ideas, words, images to create a thematic effect. (but I think it has other meanings outside of literature). in other words, I thought you used the term correctly, Big. I just checked and saw that I was describing ‘thematic tropes’. But there are a bunch of other usages for this word. it seems that another good synonym is the word ‘device’. Thanks, Nigel. Looking at Liz’s list of Tropes makes me feel like I used the word closer to the way it was supposed to be used than the dictionary definition made it seem.